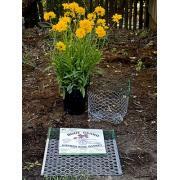 Digger's Root Guard Gopher Wire 4' x 100' | Wyatt Irrigation Supply, Inc.
Root Guard Gopher Wire Rolls is specially designed mesh wire to protect your landscape from gophers. 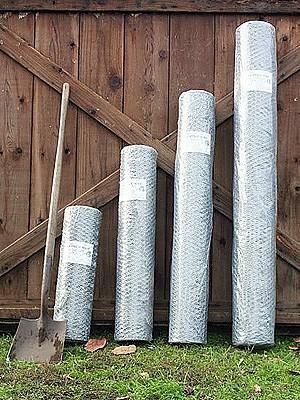 Some of the common uses are under lawns and lining planter boxes. Gopher wire is a hexagonal wire mesh that measures 3/4" across the flats of the hexagon. The steel wire strand is 20 gauge and galvanized after weaving for ideal strength and corrosion resistance. These specifications were chosen to prevent gophers from passing or chewing through it. 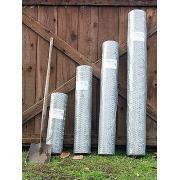 Because gopher wire is hot-dipped galvanized after it is woven, it will easily last 8 - 10 years.